K-Ville, the cop show set against the aftermath of Hurricane Katrina will air next month on FOX8. It has just started this week in the US. 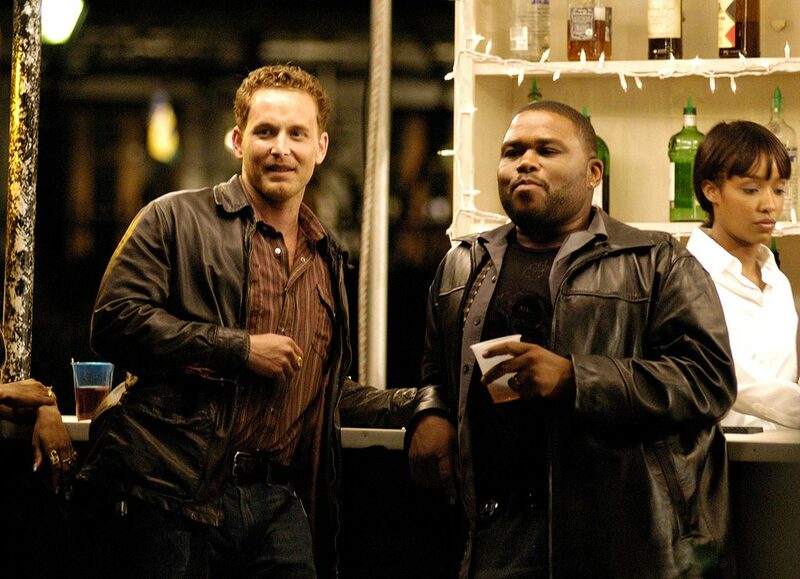 The show stars Anthony Anderson (The Shield) as a veteran of the New Orleans Police Department. His new partner, played by Trevor Cobb (ER) is an ex-soldier in the Afghanistan war. The drama is written by Jonathan Lisco who wrote scripts for The District and NYPD Blue. Channel TEN has re-broadcast rights to the show following their debut on FOX8, where it premieres at 9pm Sunday October 7. Two years after Hurricane Katrina, the city of New Orleans is still in chaos. Criminals roam the streets with AK-47s, many cops have quit, and the jails, police stations and crime labs still haven’t been properly rebuilt. But the cops who remain have courage to burn and a passion to reclaim and rebuild their city. From writer and executive producer Jonathan Lisco (NYPD Blue and The District) comes the heroic police drama series K-Ville. Marlin Boulet (Anthony Anderson, The Departed and The Shield) is a brash, funny, in-your-face veteran of the New Orleans Police Department’s (NOPD) Felony Action Squad, the specialized unit that targets the most-wanted criminals. Even when his partner deserted him during the storm, Boulet held his post, spending days in the water saving lives and keeping order. Now, two years later, he’s unapologetic about bending the rules when it comes to collaring bad guys. The stakes are too high, and the city too lawless, for him to do things by the book. Boulet’s new partner, Trevor Cobb (Cole Hauser, The Break-Up and ER), was a soldier in Afghanistan before joining the NOPD. He’s tough and committed, but if he’s less than comfortable with Boulet’s methods, it’s because he’s harbouring a dark secret. Cobb has come to New Orleans seeking redemption, but redemption can be dangerous. Will Boulet be able to trust him? Will Cobb’s past endanger them both? Rounding out the crew of cops are hot-headed Billy “K-9” Faust (Maxmiliano Hernandez, Law & Order and Shark), who often speaks before thinking; wisecracking Jeff “Glue Boy” Gooden (Blake Shields, Sleeper Cell and Veronica Mars), the team’s comic relief; tough-as-nails Ginger “Love Tap” LeBeau (Tawny Cypress, Heroes), the only female on the squad, who gives as good as she gets; and Captain James Embry (John Carrol Lynch, Zodiac and The Drew Carey Show), who wrangles the eclectic personalities of his squad with equal parts humour and tenacity. Through its no-holds-barred crime stories and dramatic personal stories, this intriguing series from 20th Century Fox Television and director Deran Sarafian (House and CSI) will take viewers from the Victorian mansions of the Garden District to the rubble of the Lower 9th Ward. In the aftermath of Katrina, with the future of New Orleans hanging in the balance … the stakes could not be higher in K-Ville.